Last edited by Crenity on Wed Jul 19, 2017 10:35 pm, edited 4 times in total. Last year I got the urge to own my very own STI Forester here in Australia. 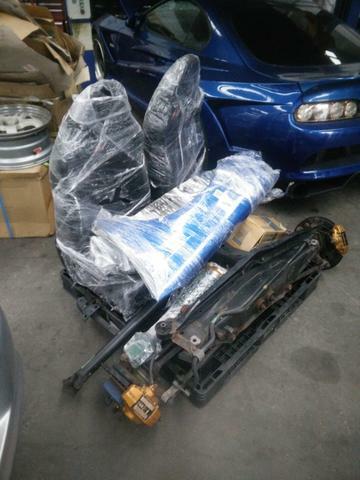 Thanks to Australia's fantastic import laws (and my lack of $40k to buy a real one ); I ended with the daunting decision to purchase my very own (working) STI Forester in Japan only to have it literally cut in half and sent here just so I could make Obama happy. Of course if you guys have any questions i'll try my best to answer them! I've always loved my Subaru's. 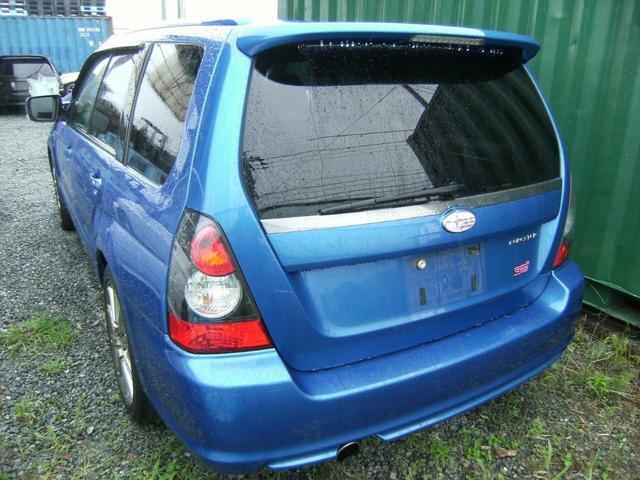 We've always had one in the family (Originally a Subaru L-Series, and currently a 2004 Forester XS). But having 2 N/A litres for 4 wheels meant it was nearly dangerously slow in the power department. 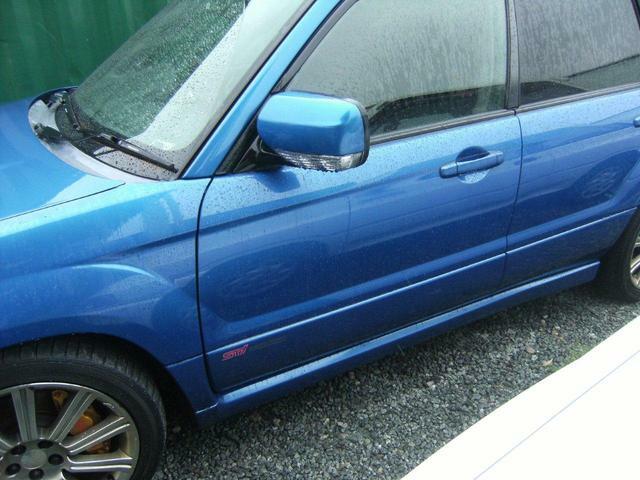 So after being stuck with my Impreza (loved corners just not straight lines) it was only natural to end up convinced that my next car was going to be a World Rally Blue 2005 WRX STI. The only concern I had was in ending up as one of those guys that has a wicked car, but can't use it for much more than ripping maineys. 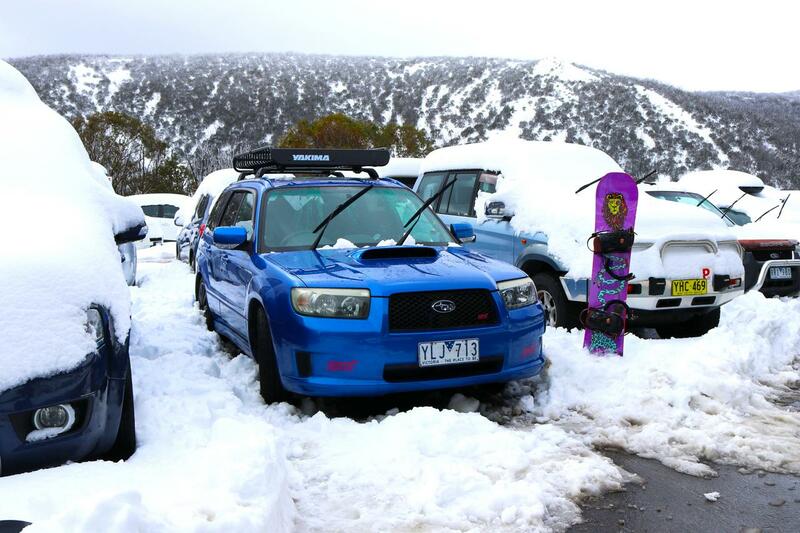 I ended up realising I wanted something that seemed to not really exist: The performance (and looks) of a WRX STI but being able to load up the boot to the limit cram 4 other mates in and head up to the snow for a weekend away. 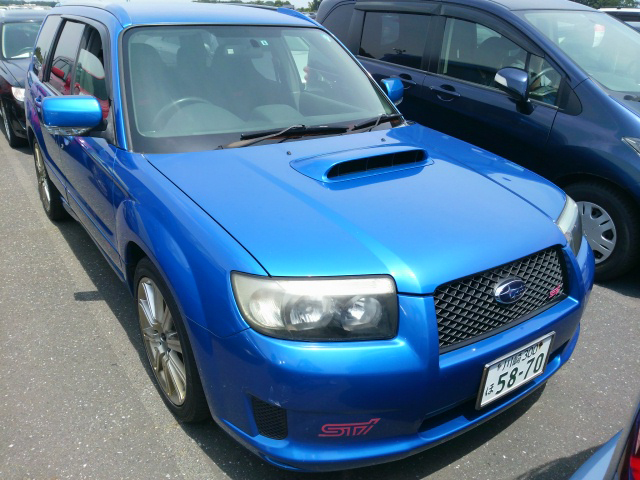 That was until I stumbled upon the Forester STI. I researched for a long time on how to bring one of these bad-boys into Australia only to come to the sad conclusion that it isn't possible, unless I move overseas to Japan for a year.... which isn't my style. 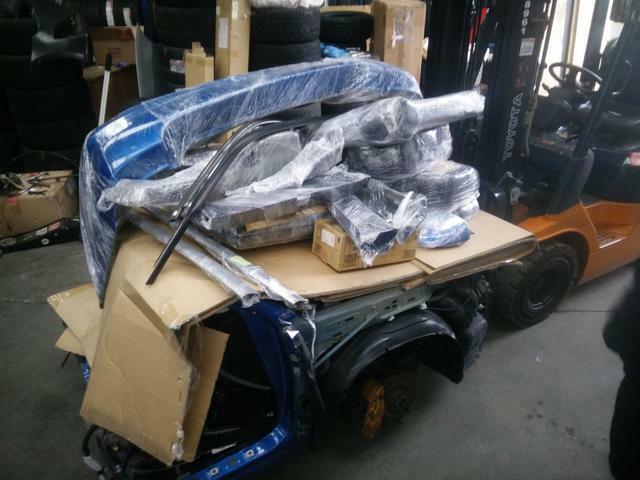 BUT after some extra reading I found a few threads from users (one posted on these forums but I can never find the link when I need it) who showed that it was feasible to snip one in half and effectively get the car shipped as "parts". This was the route I obviously ended up taking. I know cars and money do not go together, but one of my big goals was making this conversion an "affordable" process I.E not end up costing double what I would have paid if I was to buy an equivalent condition/year WRX STI locally. I'm no expert my any means, but I am more than happy to make a lot of mistakes (just hopefully not major ones like the old mis-aligned timing belt trick) and so I am hopeful that I can keep the cost of this from blowing out of proportion, by simply investing hundreds and hundreds of my (clearly worthless) time. Then after I did some dodgy crowbar fender persuasion to stop the door from rubbing so badly and super nasty cut/polish. 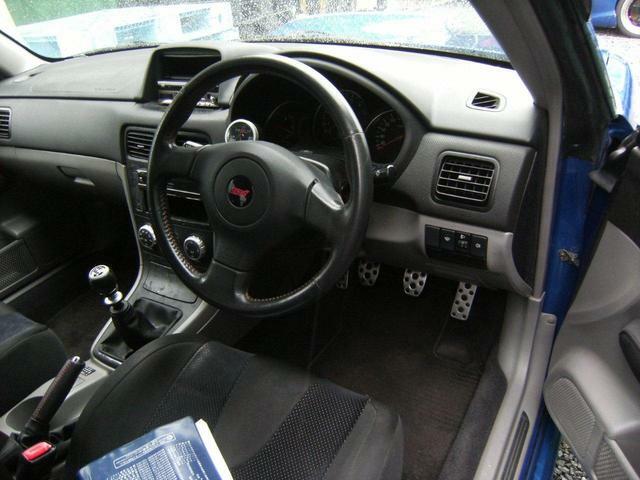 Meanwhile the JDM STI side of things was moving along smoothly. 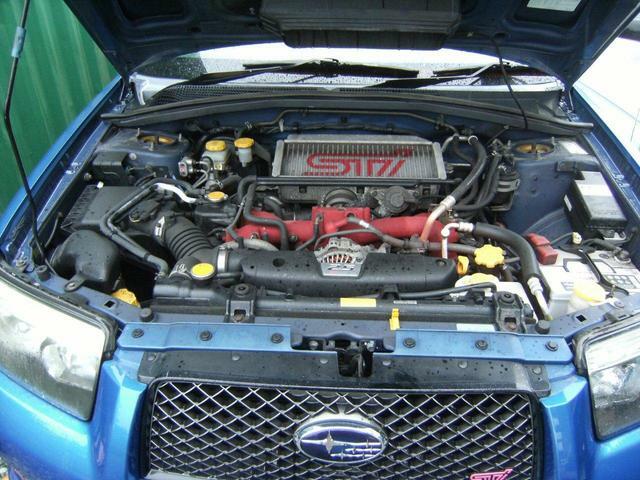 I had paid my deposit for Import Monster to start searching for the ideal donor car for me. It seems the pre-facelift SG9's (types A,B and C) are relatively common with the post facelift (D,E and F's) being a little bit harder to source. 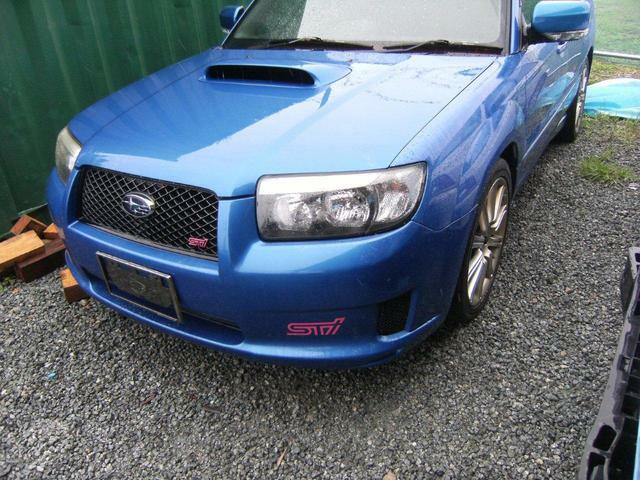 After a few right car wrong colour type scenarios, a WRB STI Forester with just over 100k km's on the clock popped up. I gave the go ahead for import monster and after a very sleepless night, I woke to find out I was the new owner of a car which I couldn't see or drive... lol. 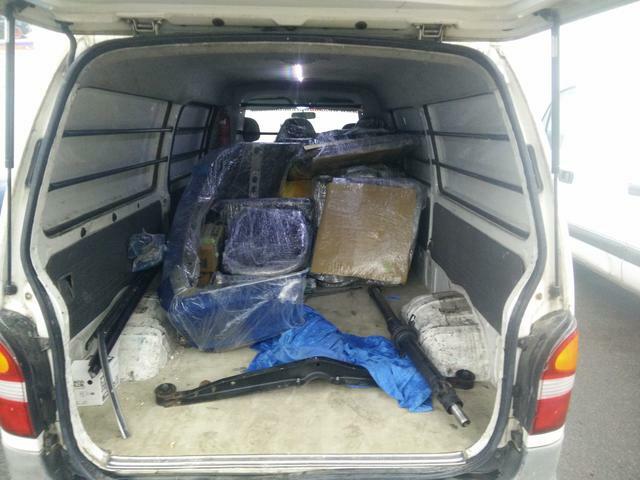 Next was the long eager wait for it to be butchered in half and stripped to be sent in two separate shipments. And another couple of months later, the rest had arrived. That brings everyone pretty much up to date with the project. I have just started pulling some of the XT panels off and fitting the STI ones to double check fitment as well as inspect the condition of each panel as there are quite a few battle scars from being on the roads for 10 years. I will update during the week when I next have a chance. Get ready for the seagulls... "How much for that STi tmic?" If you dont mind me asking, what sort of ball park figure do you think this will end up costing? How will the late SG front end fit up to the early SG front end? Different headlights, bumper, quarter panels, hood, etc. I think it's been done in the USA, on subaruforester.org but I don't think it was a simple bolt on. it should work given that he has a complete cut to rob parts from. but yeah. all the front end will need to go in order to swap it in. I Say: Do you come with the car? Very excited to see this one progress! Love the ambition, good on ya!